Discussion in 'Christian Advice' started by Tony Ramirez, Apr 15, 2019 at 2:57 PM. I Backsliding really bad. I was a devoted Asperger's Christian that came to God then when things fell apart I left him. I blamed him for years for lost of job and friends "that I must have used first and God later" later realizing it. However growing up in a home with not a single saved person that do sinful things and hold grudges I am not surprised I backslide. So even though I posted more of an serious question's here before how can I stay with God alone in my house remember no outside friends and no one to give God advice at home so talking to myself to God seems very depressing? Of course some here will say find a church well I walk almost everyday and all I see are Catholic "very bad experience" and "Lutheran" churches walking distance no"Evangelicalism" churches. Of course to use to go to one in Bay Ridge but I had to take two trains which I hated again an excuse to stop going to far away. So being alone talking to God is very hard not too backslide again. Catholic can be very good indeed. Some people have good and bad experiences in all different types of denominations. Nothing stopping you going into one and kneeling and praying. You never know, you may meet a Christian who will become a good friend! Hi, Tony. 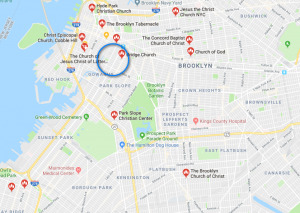 I am surprised to learn that there are no churches within range of your home that are anything other than Catholic or Lutheran, but if that is the case, you might try following along with some televised worship services from whatever source you favor. That seems to me preferable to just praying in solitude--exactly what you were saying, from your own experience, is not sufficient. That was why I went to Bay Ridge before but my excuse now is that it was too far I just hated to take the subway really hated it. BTW I live in the 11217 zip code if matters. No, I will take your word for it. I am merely surprised that this is the case where you are, because it is not that way in most cities. You can be faithful to God while you wait to go to church, God understands you have trouble finding one, it is important to go but if you can't you can still seek God. Seek God, this is time well spent. He has rewards for those who seek him, have faith. I live around the blue circle area. I understand but in my home please don't get me wrong I love my family dearly but with there sinful nature everywhere it gets quite lonely and hard not to backslide again. Backsliding in scripture was regarding to a nation, not individual people. Tony, I plugged in your zip code and searched for churches. While there are many Catholic and Lutheran ones there I see other ones that look promising. #2 I see something like a "Recovery House of Worship". And that was just looking in 10 seconds of looking through a search engine! #3 House of the Lord Pentecostal. Thanks. 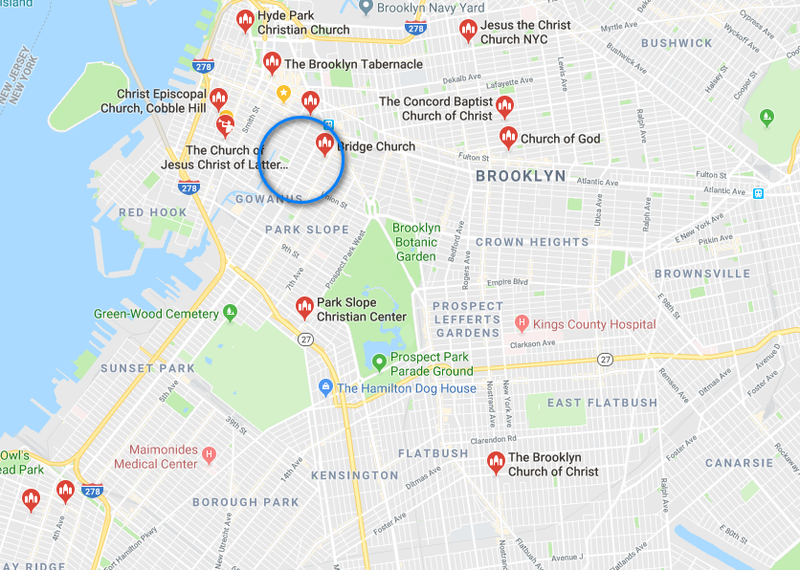 I did look up some of those on Google street view a few days ago so some names are familiar however some streets were updates late 2018 and 2019 and I could not see a church at some of them. Many looked like just plain old residential houses. I just have to keep looking. I did not know it was hard to even find a church. Try to be faithful to God in what you can, pray that he makes you better etc. It's a worthy cause for sure while you wait for a church. Don't give up because your family creates a bad atmosphere for you. We don't need to do great things, we need to try in what we can. With Easter being this Sunday it would be 16 years I have not attended. Fell shameful. In the bible David said "I would have lost heart unless I had believed I would see the goodness of the LORD in the land of the living". This gives us a clue that God has a good plan for us in this life, even when everything seems bleak. In my life the early part of my adult life was very tough, going from one emotional failure to another, this caused me to fall into sin from time to time, for which I despised myself. However over time God strengthened me, and gave me all the things that were lacking in my life, including a family. In your heart you may feel hopeless, downcast, but God has a plan for your good. Ask the LORD to grant you his goodness "in the land of the living". Thanks for the link Pavel I will do Street searches and regular searches on that list. As for God he seems everywhere. Taking my walks sometimes I see bad words scribbled in one spot I avoid but then I see scripture sometimes hard to explain but on someone's car it said "God loves you". Just choosing a random sleep video talking about God knows what he is doing my plan and the suffering people go though even using God like I did. Staying in my comfort zone which I am. Meanwhile downstairs my father is watching trash programs on TV. Update I might have found a church waking distance. Going to attend Friday night and Sunday service. Pray all goes well.